COLORADO -- In an attempt to get back at a cheating wife, a Longmont man shot one of her cats, and incidentally got caught with 4.2 pounds of marijuana, police say. Wednesday afternoon, Longmont police went to Paul Vickers' home after family members alerted them to a disturbing e-mail Vickers allegedly wrote. "He sent out an email to family members expressing frustration over past marital issues he and his wife had," said Sgt. Garrett Boden. "In the same email, Vickers described killing the cat with a .22-caliber pistol, so that his wife could feel his marital pain." The e-mail also threatened the remaining three cats, Boden said. 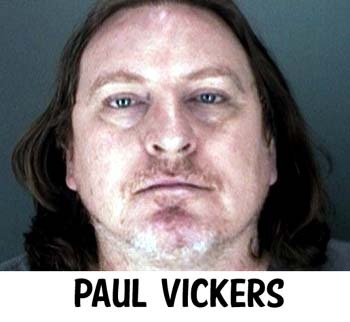 Vickers wasn't home Wednesday afternoon, but police did find him there Wednesday night, when they made the discovery that a personal vendetta may not have been all Vickers had been cultivating. "Officers said that they smelled a strong odor of marijuana when they entered Vickers' home, which led them to apply a search warrant of the home," Boden said. In the home, officers found an elaborate grow operation, which included a total of 19 marijuana plants. Of those 19, eight were adults, and 11 were juveniles. Detectives were also able to seize numerous bags of harvested and processed marijuana. As for the cat, a black and white mix, its body was found in a retention pond south of Vickers' home. 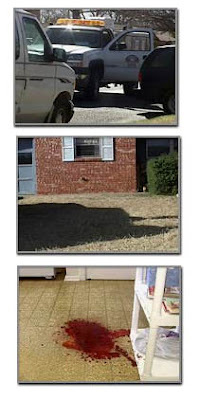 "The cat was truly the victim here," Boden said. "Not to say that we weren't concerned Vickers posed a potential threat to his wife, but it was all about revenge. He knew his wife was partial to cats." Police arrested Vickers, 50, on suspicion of domestic violence, cruelty to animals, possession of marijuana with intent to distribute, cultivation of marijuana and possession of more than 450 grams of marijuana. ILLINOIS -- Two women are charged with misdemeanor retail theft for allegedly swiping a $1,500 Pomeranian from the Naperville pet store where they have worked. Police said Anais Marquez and Karlie Pellock, both 19 and of Plainfield, are Petland employees who planned Friday's puppy theft with Emanuel Lopez, 19, of Plainfield. Note: Lopez was also charged with animal cruelty after police found out he held the puppy down and blew marijuana smoke in her face until she passed out. Marquez and Pellock were arrested Monday and later released from custody after posting bond. 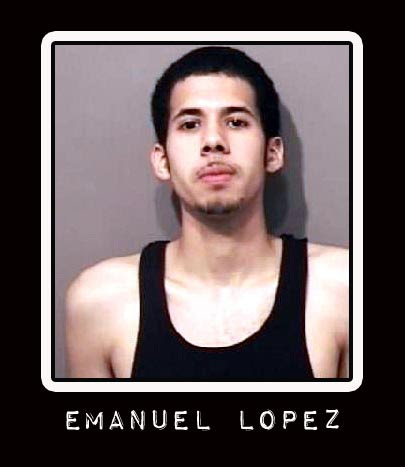 Naperville police have a warrant for Lopez's arrest on felony retail theft. Both women were working during the theft, said Naperville Police Cmdr. Dave Hoffman. They allegedly had agreed to give Lopez $60 for the dog. On Monday afternoon, a Plainfield woman returned the puppy to the store. 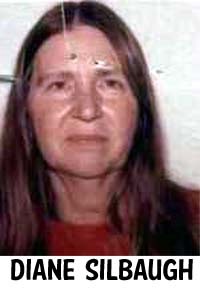 Hoffman said she is not connected to the crime. OHIO -- The Portage County woman accused of starving horses to death pleaded guilty to cruelty to animals and will be sentenced Wednesday. Diane Silbaugh, 55, also pleaded guilty to grand theft and forgery, for stealing a horse from another woman and forging ownership papers. She could be sentenced to up to 18 months in prison for the theft and 12 months for forgery. Each of the 10 counts of cruelty carry a maximum penalty of 90 days in jail. She has prior convictions for cruelty in Medina and Cuyahoga Falls. A Portage County woman accused of starving horses to death was tossed back in jail Friday, when a municipal judge said she violated his order to have no contact with horses. Diane Silbaugh, 55, is now being held on $10,000 bond. 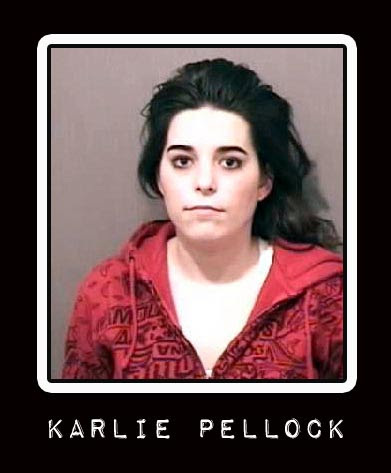 She is charged with multiple counts of cruelty to animals. Judge John J. Plough said the Brimfield Township woman must surrender more horses to the Animal Protective League and a farm sanctuary, after a sixth horse in her care died at her Never Rest Ranch on Old Forge Road. More than 20 debilitated horses have been taken from her since Jan. 9, when an anonymous caller sent Brimfield Township police to the ranch. Chief David Blough said there were five dead horses in a pasture and four more on the verge of starvation, which were confiscated. 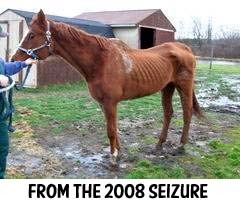 One of confiscated horses died within days. Tests showed they died of starvation and at least one died of salmonella poisoning from moldy food, Happy Trails Farm Animal Sanctuary founder Annette Fisher said. Prosecutors told Judge Plough that Silbaugh tried to get around his order by subleasing her property to a friend. Horses that had previously disappeared then reappeared, prosecutors said, and on Feb. 26, Brimfield police again found them without food and water. Silbaugh is due back in court March 12. Happy Trails is asking for donations to help pay for veterinary care. TEXAS -- An 89-year-old Lubbock man is in good condition Wednesday night after a dog attacked him earlier that afternoon. Neighbors tell NewsChannel 11 strays dogs have become a big problem in the area. A vicious attack brought First Responders to the 5400 Block of 42nd Street around 4:00 p.m. Wednesday, interrupting a previously quiet day in the neighborhood. "I was reading in my back yard, and I heard a bunch of commotion," Venessa Rodriguez said. "There was an fire truck and also an EMS crew," David Chirillo said. EMS took the victim, 89-year-old Henry Clark Todd to Covenant Medical Center, while Lubbock Animal Control searched for the dogs that Todd said attacked. "I really had no idea what was going on," Rodriguez said. "A second later, Animal Control was knocking on my door, asking if I had a dog. Later, I found out my next door neighbor got attacked," Chirillo said. Family members say Todd was on his way inside his home when three dogs approached him. Animal Control says one dog attacked him; Todd picked up a water hose, trying to defend himself, but the dog severely injured his arm before they all ran off. "He sustained some pretty serious injuries to his right arm," Lubbock Animal Services Director Kevin Overstreet said. A large pool of blood by the phone where Todd called for help showed just how bad the attack was. "It's not uncommon for me to be out walking around in the front yard and see stray dogs or in the alley behind my house when I'm throwing away trash, so it's kind of uncomfortable," Chirillo said. He says strays are becoming a problem. "I have a little puppy of my own; I would like to know that it is safe in my back yard, obviously it's not," Chirillo said. Rodriguez agrees. She had to call Animal Control last week. "I was leaving my house in the morning and a dog jumped in my car," Rodriguez said. Now, knowing their neighbor was attacked, both say something needs to be done. "It needs to stop," Chirillo said. "It's hard to come back from something like that, and I hope he's alright, and I wish him well," Rodriguez said. Lubbock Animal Control is not sure what breed the animals are. They describe the dog that attacked as a black dog with a white face. ILLINOIS -- A tip from someone suspecting an illegal dog fighting operation in rural Peotone Township led police to the discovery of a "puppy mill" operating out of an unheated garage. Upwards of 49 dogs, some of which were malnourished and dehydrated, were recovered from a garage reeking of urine and covered with dried dog feces, said Will County Sheriff's Spokesman Pat Barry. Authorities said in another week, at least a dozen could have died. The dogs, which ranged in age from 3 months to a few years, were found in cages stacked four high. Some were said to have fur matted so badly they couldn't move. Others had open sores. The dogs are being cared for by the Peoples Animal Welfare Society (P.A.W.S.) in Tinley Park. Two had to receive veterinary care. Will County sheriff's police assisted in the raid conducted at 10047 W. Offner Road at 11:30 a.m. Saturday. Other police units included the Cook County Sheriff's Special Operations Unit and the officers of the State Animal Abuse Task Force. Barry said Nikima Wright, 35, the home's owner, gave police permission to enter the garage to investigate. Barry said Wright, who was not arrested, later gave permission for police to remove the dogs and take them to animal care facilities elsewhere. According to WLS Channel 7 in Chicago, Wright sold the dogs for $600 to $700 each. She delivered the dogs to her customers, never allowing them to visit her in Peotone. Nikima L. Wright, who didn't have a license to operate a puppy mill, could face up to 49 counts of animal cruelty. The anonymous tip came Feb. 20 on the 24-hour hotline of the South Suburban Humane Society in Chicago Heights. The shelter has its own animal abuse investigation team, but its executive director, Emily Gruszka, said since the call first came in describing a dog fighting ring, they immediately turned information over to Cook County investigators. Gruszka said that given the conditions of the Peotone puppy mill, she believes it had been operating for "a long time." "Puppy mills are very, very common," said Gruszka, whose shelter takes in 6,000 animals a year. "I really believe a lot of people who go and buy puppies don't know the situation they were raised in." Gruszka said her shelter's tip line is "constantly full with calls of suspected abuse and neglect. Ever since the Michael Vick case, we've had a lot more tips on dog fighting." Vick, a star National Football League quarterback, is currently serving time in federal prison for animal cruelty after a dog fighting ring was discovered on his Virginia property last year. The dogs rescued Saturday include Maltese, Yorkies, Chihuahuas, Pomeranians, poodles, pugs and mixed breeds. Volunteers donated their time Sunday to help bathe and groom them. P.A.W.S. shelter officials noted on their Web site that "it will be awhile until the dogs are available for adoption as they must gain weight" and be neutered or spayed. Those interested in adopting a dog are asked to e-mail the shelter to get updates on their progress. I purchased a puppy from Phoebee's Puppies on a Friday. Nikima Wright came to my home at around 7pm, dropped the dog off, had me sign a contract, told me what kind of food she ate, and left within 30 minutes of meeting me. Saturday evening the dog became ill. She had severe diarrhea, and was sneezing and coughing. I called Nikima Sunday morning, received no answer, and called her again Sunday afternoon, again receiving no answer. She called me back late Sunday night, saying that the severe diarrhea was a direct result of the food she was eating. Monday she was still ill, and upon speaking with a vet, was told she probably had a parasite, and a doggie cold. I called Nikima to tell her this, and was immediately yelled at, told I was wrong, she would never sell me a sick dog, and I should just "google" diarrhea and I would see that I was wrong. I told her I would like to return the puppy, saying I did not want to purchase a sick dog. After much grappling she said she would come get the dog that evening. That evening came and went and she never showed up, claiming car issues. Tuesday I took the dog to the vet, and it was confirmed that she did have a cold, and a parasite. I called Nikima upon the recommendation of the vet, who said that responsible breeders would normally pay half to all of the vet bills because the dog had been sick when it was sold. I left her a message stating that the puppy was sick, in case any other puppy owners called about sick dogs, and also asked for payment on the vet bills, and told her, as a courtesy that I would be reporting her to the BBB, the AKC,and other dog breeding associations because of her response to my assertion. She called me back at work, telling me to never call her again, and that I was harrassing her. Please, please, please, reconsider buying a dog from her. She gives dogs to her friends,and breeds through them, taking one or two of the puppies so that she might sell them. She does not care about the animals, and her demeanor is unpleasant and completely unprofessional.